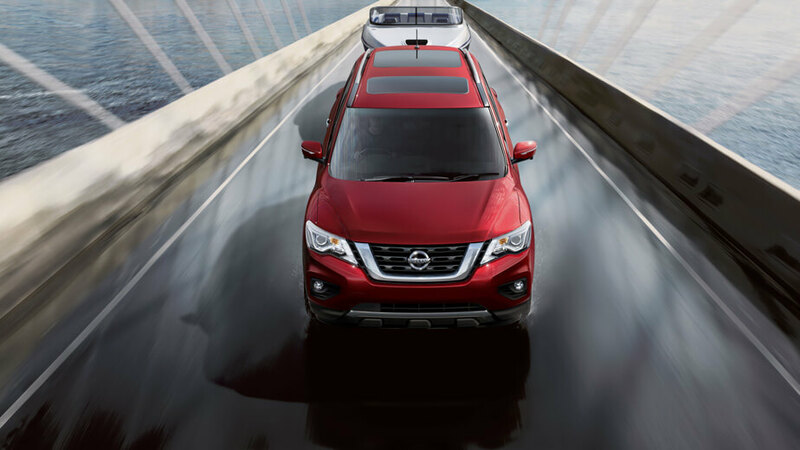 Meet the Nissan Pathfinder, the next generation SUV designed for the modern family. Every detail has been meticulously considered to achieve a new level of luxury, style and comfort. 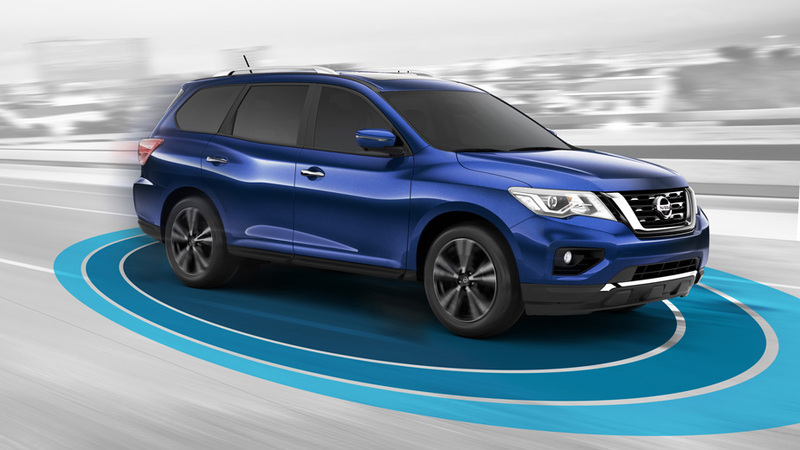 From the modern, aerodynamic styling through to the genuinely inviting interior, the Pathfinder sets the benchmark in terms of comfort and versatility thanks to a host of interior luxuries including the Tri-Zone Automatic Climate Control and EZ Flex™ seating system across the range. The roomy interior of the Nissan Pathfinder has a whopping 2,259 litres of cargo space when the 2nd and 3rd row seats are folded flat. The 2nd row splits 60/40, and the 3rd 50/50, to give you numerous options for carrying both passengers and awkward loads. Then there’s the ingenious under-floor storage area, with even more room to stow your stuff or keep valuables out of sight. All in all, there’s a load of clever storage solutions to open up your options. 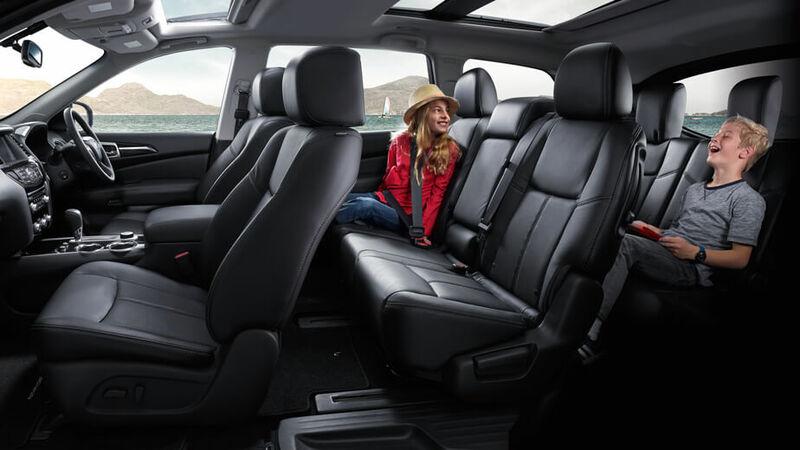 Specifically developed for the Nissan Pathfinder, the innovative EZ Flex™ seating system, featuring Latch and Glide™ Technology, is designed to get your family in and out with the greatest of ease. Now it’s a cinch to access the 3rd row – just lift a lever to activate the 2nd row seat’s slide and tilt down function. 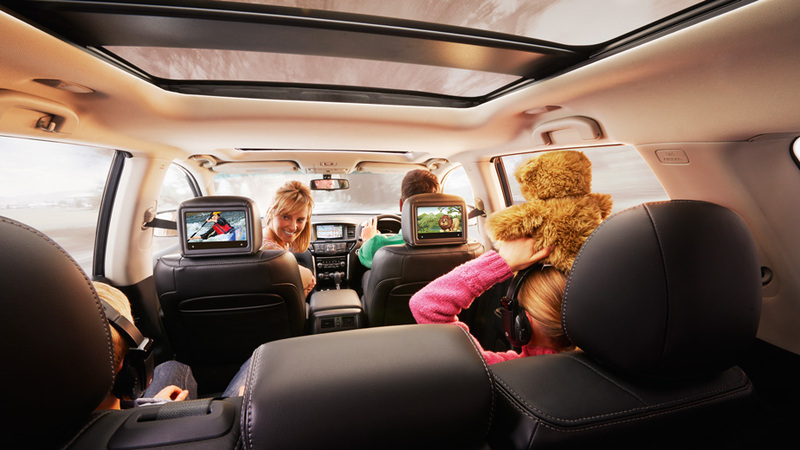 Most innovatively of all, you can do this without the hassle of having to remove your 2nd row child seat, which remains securely anchored as you move the row back and forth. 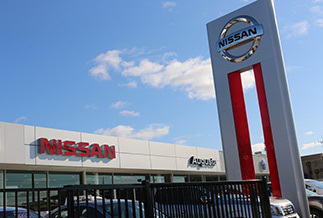 There’s a range of intuitive safety technology from top to bottom in the Nissan Pathfinder, starting with the Advanced Driver-Assist™ Display screen. A 4″ colour display fitted in the centre of the instrument cluster sits directly in front of the driver, and delivers a range of information from trip computer and fuel usage, to navigational guidance to keep your eyes firmly on the road.